Looking for a cost-effective artificial intelligence (AI) solution that is made to fit the exact needs of your organisation? Would you like to find a programming partner who really listens to the demands of your business and who can tailor their automated reasoning systems with your commercial goals in mind? If so, then Brandon Cross is the perfect place to turn. We have the experience and technical know-how to make your organisation’s adoption of AI a reality and provide the return on investment you are looking for from such software. Decision making has long been the preserve of humans but the rise of AI technology now means that your organisation can run more efficiently thanks to software which is capable of reasoning for itself. At Brandon Cross, we have the technical expertise to develop software which will meet your business requirements by harnessing case-based reasoning that is based on established knowledge. Furthermore, our systems utilise natural language processing which takes account of minor discrepancies and continues to function no matter who they are interfacing with. This means being able to intelligently interpret queries in such a way that previously known cases which are a close match to the current situation can be identified to produce a reasoned response. Custom AI can be deployed in a myriad of ways in modern commercial settings. In addition to their rule-based reasoning – which allows for both forward and backward chaining – our AI systems can provide a state space search functionality. This means the software has the capacity to search combinations of states and actions to find the desired goal state, which can make your automated reasoning system seemingly more intelligent than other options. 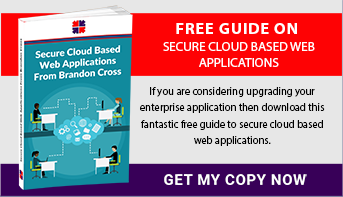 In conclusion, we recommend downloading our free guide – Secure Cloud Based Web Applications. Of course, we are also happy to discuss your requirements and ideas directly. Call us or use our enquiry form to find out more.